A bold, floral lace with a leaf and flower design and a scalloped edge. 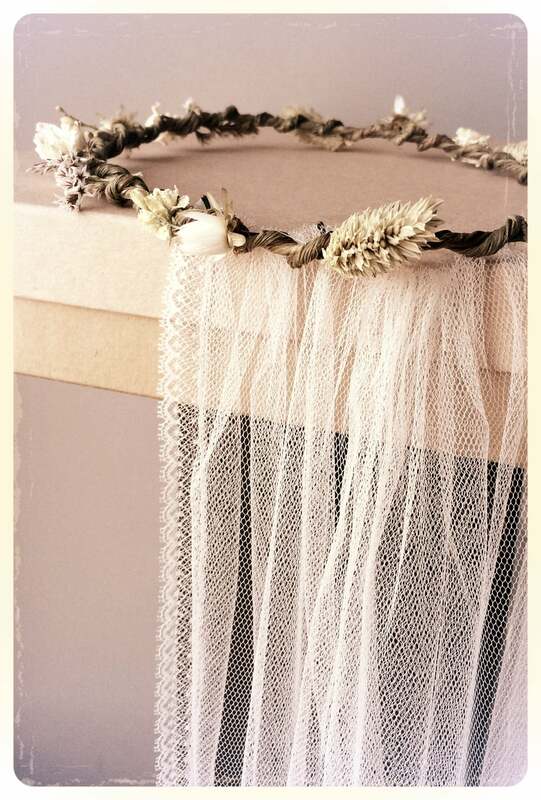 As a slightly stiffer lace it holds its shape well and provides a strong outline to your veil. A soft and delicate French lace with geometrical spot and circle design. 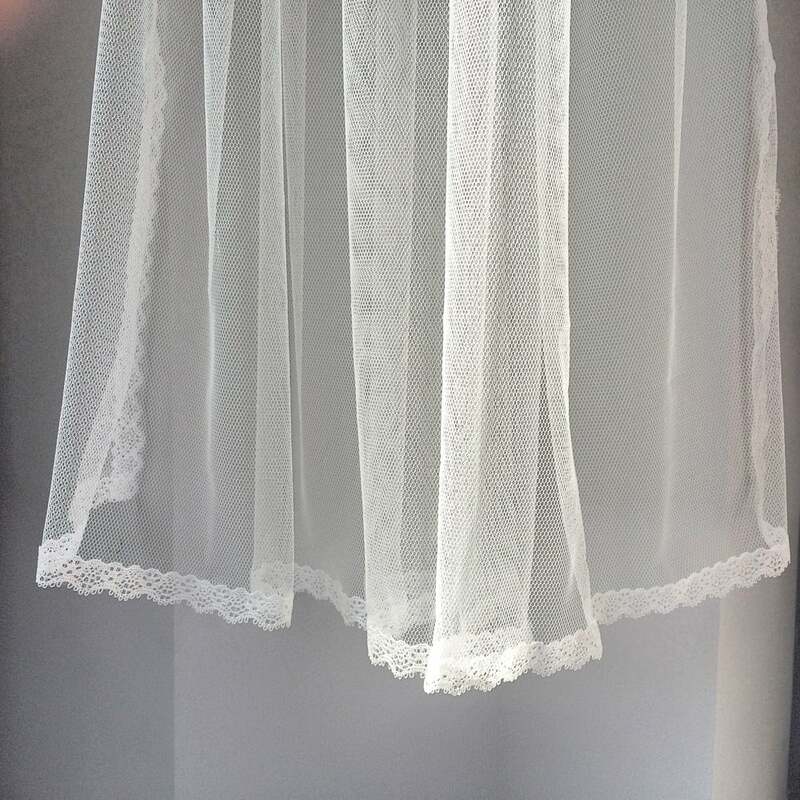 It provides a subtle finish and discreet outline to your veil. 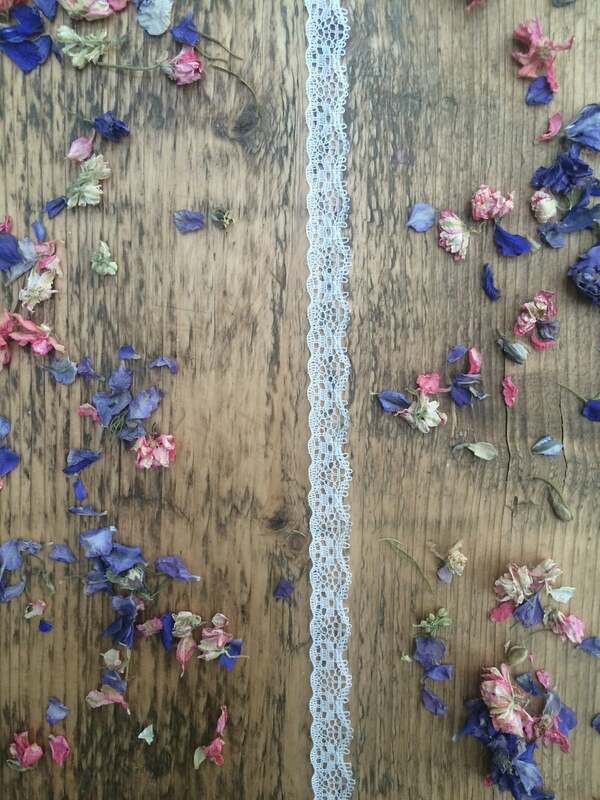 A narrow and sweet lace with subtle floral design and tiny scalloped edge. 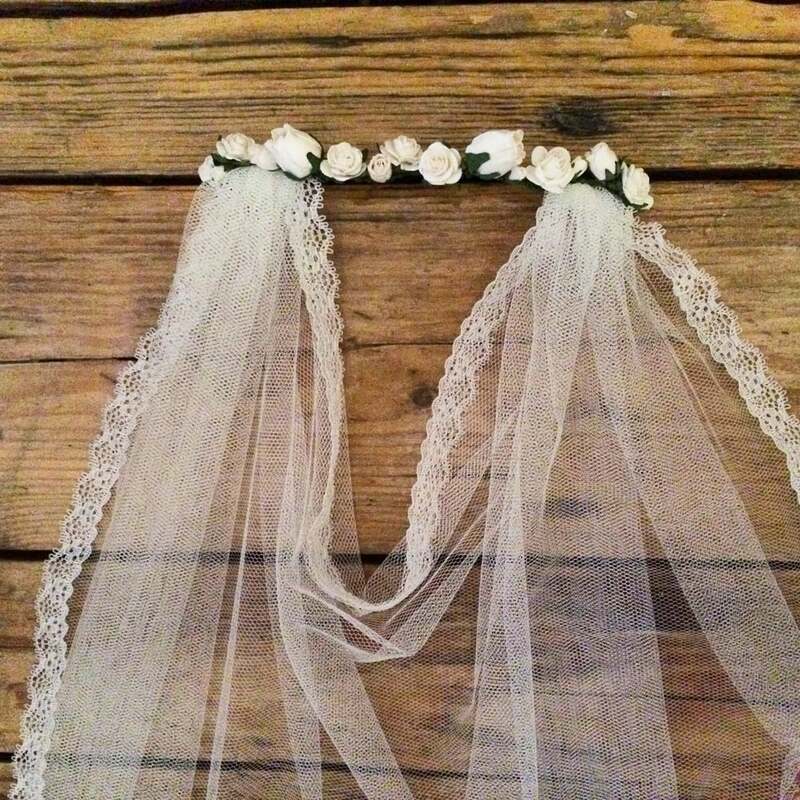 It gives a pretty, bohemian outline to your veil. 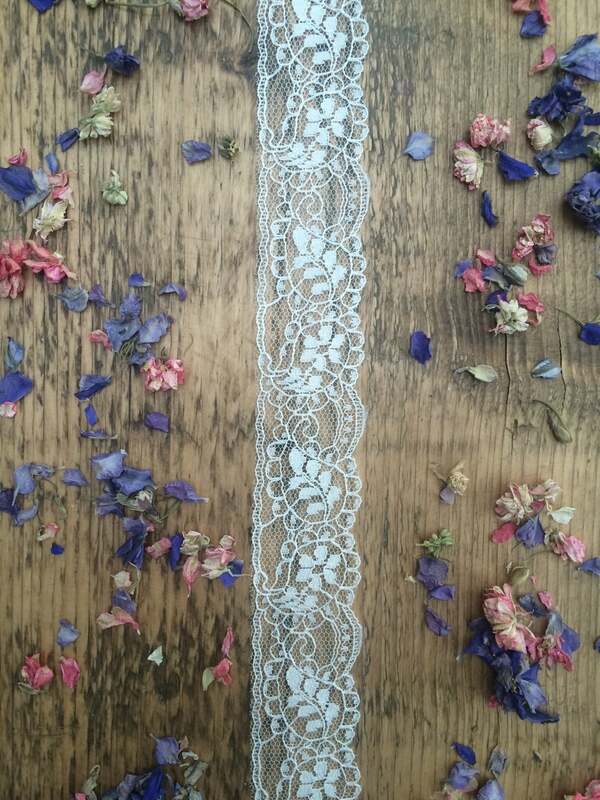 A wider, bohemian style lace. 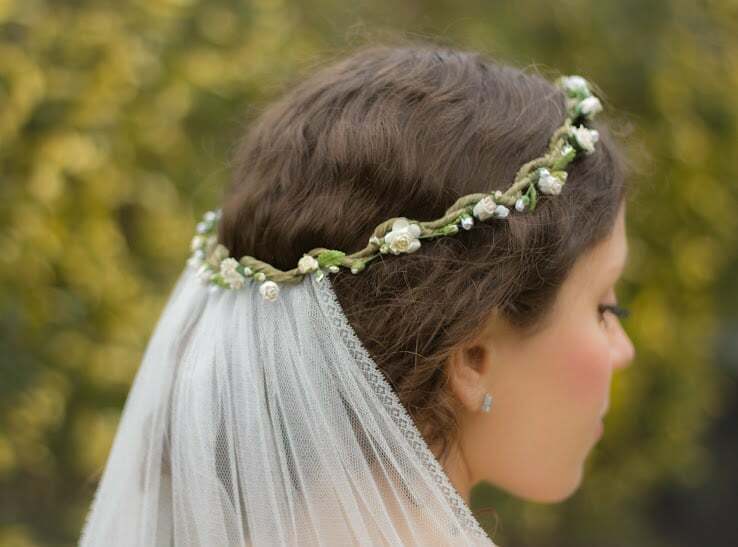 It has two columns with a central floral design and provides a bold outline to your veil.